Last night I went out for a joint good bye/welcome party, so I didn’t get home til late. I planned on going to body flow this morning, but I really wanted to give my body a chance to sleep as much as it wanted since I had been waking up by alarm clock all week. So when 10 am rolled around and I was still in bed, I knew it just wasn’t going to happen. My legs are sore from working out yesterday, but I knew a little cardio would help out. I decided to go for a run since the weather is beautiful, 50 degrees and not a cloud in the sky. 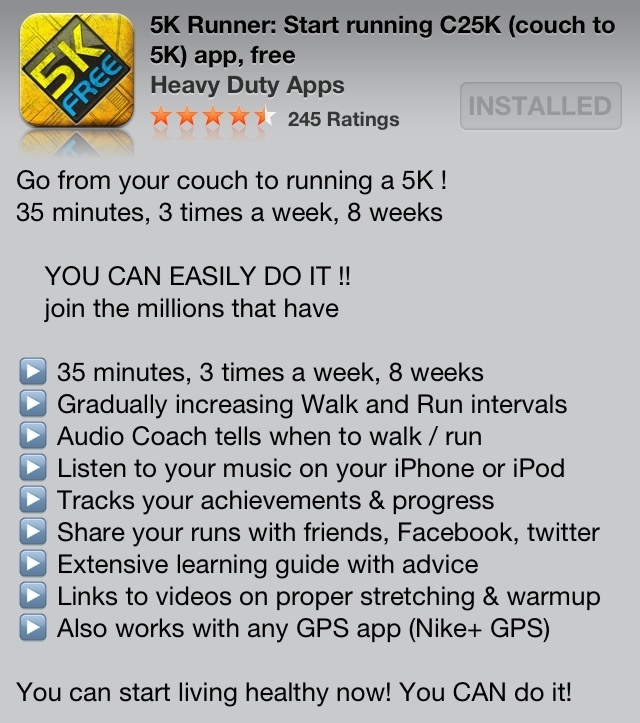 I use a couch to 5k app to track the intervals I usually do. I run for a minute, walk for a minute. The app allows me to play music and is supposed to tell me when to walk and run. It starts off with a 5 min warm up walk and I know about how far that is from my apartment complex. I started to get a little past that and I start thinking to myself, shouldn’t I be running now? So I take a look at my phone and of course I was supposed to be running 5 minutes before that. This is the 2nd time this app has done that to me. I can’t start it over, because then I have to wait 5 minutes to get to the run/walk intervals. 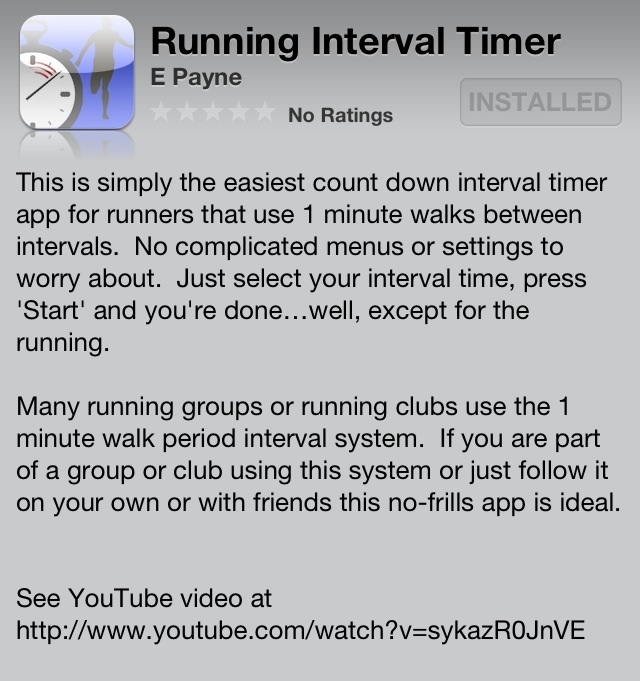 So I decided to stop, download an interval app and just get my run on. I had a new app downloaded in 30 seconds and I really pushed myself. I’m pretty sure I thought I was going to die multiple times and the little voice inside me had to motivate myself to keep going. The failed app, ugh so frustrating! The new app that works GREAT! I definitely need to work on my stamina. I’m starting to realize that maybe I’ll never be a distance runner. I may start trying to run suicides again. As much as I hated them while playing basketball, I really think they’ll be a great way for me to get cardio and I don’t mind sprinting. I’d rather run for speed than distance. I’ve just always done better at that. So now I need to find a basketball court nearby so I can start death by running suicides (I first wrote death by suicide and realized how awful that sounded, because suicide is obv NOT funny and a very serious thing). Tonight I’ll be watching my bff, Katie, run her first marathon in the Las Vegas Rock N Roll marathon, which is on the strip at night! It’s gonna be cold, so I’ll be in lots of layers and probably with a blanket. Yes I’m a Floridian and anything under 70 degrees is FREEZING!